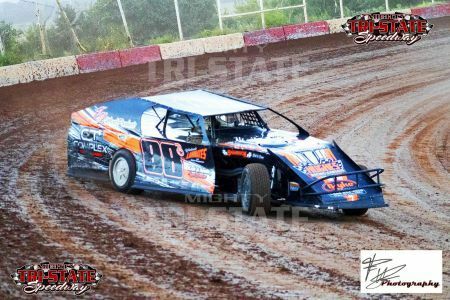 POCOLA, OK (September 15th, 2018) – The 10th Annual Tillman Evans Memorial and 48th Annual Points Championship Night was a great success with 108 cars taking in the famous high banks in Pocola, OK. Mother Nature upped the temps once again to the low 90’s with a southerly breeze for Saturday night’s action. In what has become the norm this season, the track prep once again produced three and four-wide point racing action for the entire night. The pre-race ceremonies started at 7:24 PM with the invocation along with several cars presenting the American flag during the national anthem. Right after the parade lap, a brief history of the late Tillman Evans racing career was read. Tillman actually only raced three times, retiring with a 66.6% wining average, but was the one of the original idea people behind the mighty Tri-State Speedway and was the primary builder of the legendary facility. 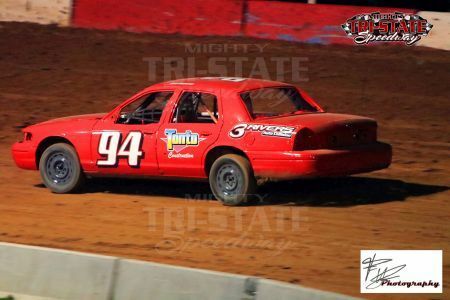 He was also a long-time engine builder and friends with everyone in the area racing scene. Heat races were determined by the driver’s draw at sign in. 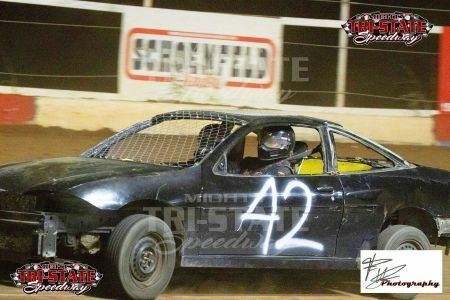 The driver’s advanced to their features via a random car invert drawn by the last heat race winner of each class. Just before intermission some of the Enduro cars that were on hand, as part of the 10th Annual Tillman Evans Memorial, took their shot at the high banks for a brief hot lap session. At intermission everyone grabbed themselves some great food items from the concessions, including the new nacho supreme, along with an ice-cold Pepsi or Gatorade. Some previous week’s feature winners also received their trophies for their previous wins. 50/50 money was also given away as well as some Matt Walter 42W racing t-shirts. After intermission, the first A Feature on the track was for the Factory Stocks. Wesley Bourne (5 - Cameron, OK) took his fourth win of the season over Bradley Johnson (33B – Stigler, OK). Dallas Bourland (119 – Fort Smith, AR) finished in third. Next onto the track, for their A Feature, was the Out-Pace USRA B-Mods. Hunter Byers (88B – Rogers, AR) took home his third win of the season over Steve Holzkamper (40 – Gentry, AR) and Daniel Tarkington (2 – Checotah, OK). The next A Feature was for the Sharp Mini Late Models where Art Westbrook (0) tracked down and passed Angela Sopha (09HER) for the win. Mike Sopha (09) crossed the finish line in third. The Super Stock A Feature was up next and saw Neil Johnston (17 – Fort Smith, AR) take the win over Shannon Scott (4 – Henryetta, OK). H. Palmer (X15 - Muldrow, OK) finished in third. The last A Feature on the track was for the USRA Modifieds. Lonnie Robins (33 - Alma, AR) took the win. Brent Holman (17 - Rogers, AR) finished in second as Kyle Ledford (75 – Greenwood, AR) took home third. The last race of the night was the big, $1.268 to win, 100 lap Enduro. 29 cars started from a dead stop in turns three and four. At the end of the 100 laps and about 40 minutes later, Michael Skaggs (42 – Wagoner, OK) crossed the line first ahead of James Poe (39 – Gravette, AR) and Clinton Drummond (46). Complete race results can be found under the “See All Results” link at the bottom of the Results menu page or by clicking the Results link under Fan Info or Driver Info. The 48th Annual Point Championship Races crowned five class champions. The mighty Tri-State Speedway would like to congratulate the champions. 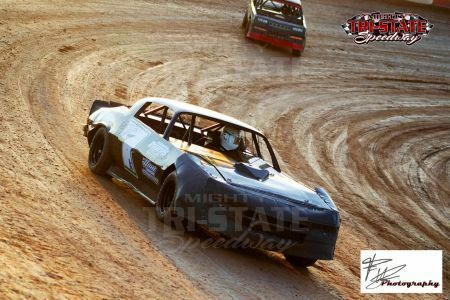 NexGen – Blaise Leatherman (94L – Muskogee, OK). 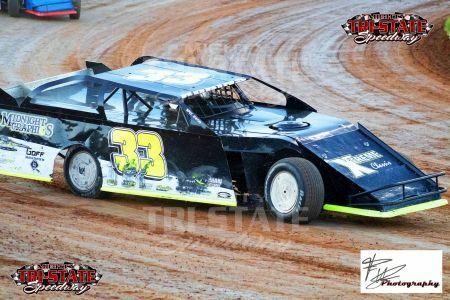 Blaise raced in four features with us in 2018 and won three times. 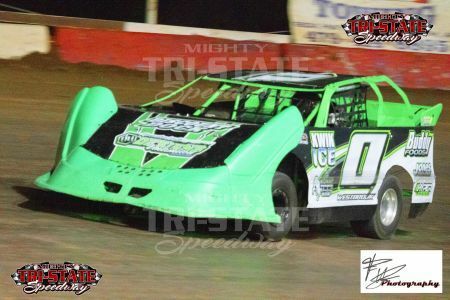 Factory Stock – Kyle Hamby (7K – Hackett, AR). 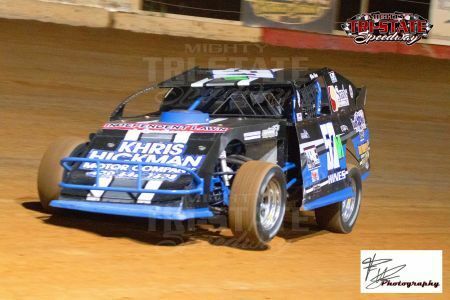 Kyle raced in 18 features with us in 2018 and ended up with 17 top 10’s, 13 top 5’s and three wins. A total of 75 different drivers raced with us in this class in 2018. 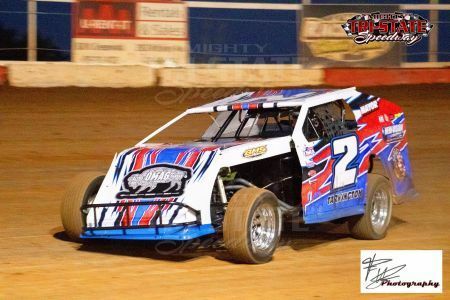 Out-Pace USRA B-Mods – Daniel Tarkington (2 – Checotah, OK). Daniel raced in 15 features with us in 2018 and ended up with 12 top 10’s, 12 top 5’s and two wins. A total of 99 different drivers raced with us in this class in 2018. 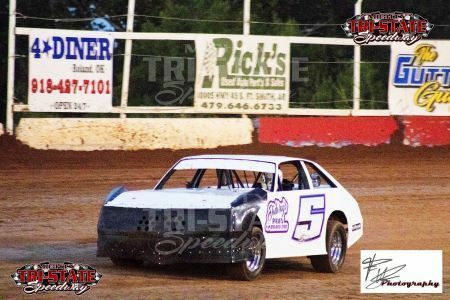 Super Stocks – H. Palmer (X15 – Muldrow, OK). 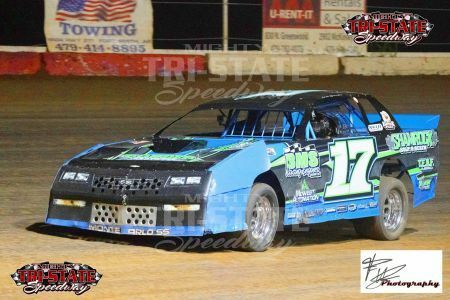 H. raced in 12 features with us in 2018 and ended up with 12 top 10’s, eight top 5’s and one win. A total of 61 different drivers raced with us in this class in 2018. 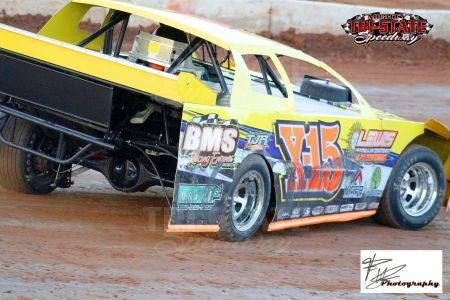 USRA Modified – Michael Hines (57M – Van Buren, AR). Michael raced in 15 features with us in 2018 and ended up with 12 top 10’s and five top 5’s. A total of 64 different drivers raced with us in this class in 2018. The next event for the mighty Tri-State Speedway will be the 39th Annual Spooker. Mark your calendars now and book your rooms for October 10th, 11th, 12th and 13th! You don’t want to miss this annual event. It’s the original, the biggest and still the best!